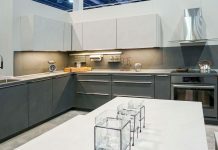 For a while, the trend in kitchens is to create a serene atmosphere produced by making everything unified with an all-white or all-grey monochromatic kitchen. 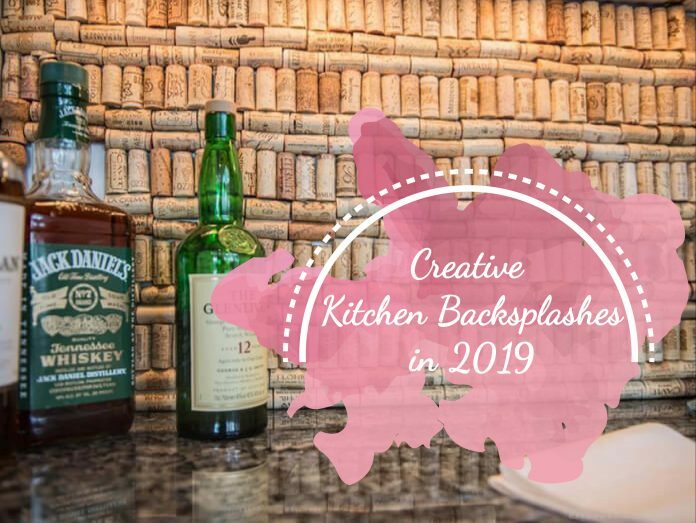 However, interior designs for the kitchen are now rebelling against this trend in an area that is sometimes given an afterthought: The kitchen backsplash. 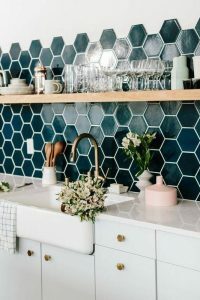 The kitchen backsplash tile is not limited to squares as interior designers are using different shapes like hexagons or other shapes with repeating patterns of tile. 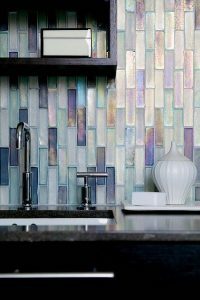 But for each tile, there is a varying color texture, creating an overall layered effect, providing depth and style to any kitchen backdrop. 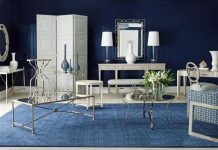 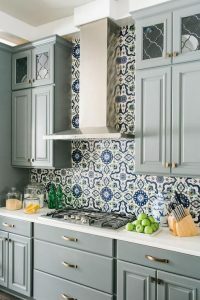 One of the more popular trends in 2019 Kitchens is the pairing of Navy Blue with White, especially if the cabinets are two-tone with the upper cabinets being white and the lower cabinets being navy blue. 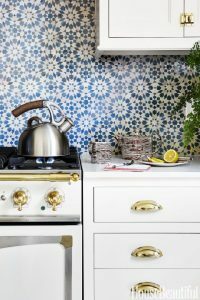 However, to tie this pairing together, we are seeing more blue and white ceramic tiling in the kitchen backsplashes, reminiscent of classic ceramic cookware or pitchers. 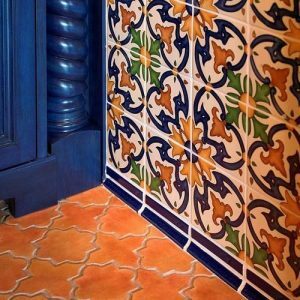 Spanish tiles are colorful hand-painted tiles, made from clay and/or ceramics, often using bold, primary colors and the tiles are laid out in a tessellation, a term used to describe multiple polygons in repeating patterns that leave no gaps. 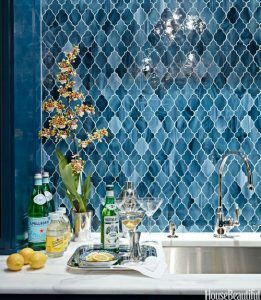 These tiles add warmth and playfulness to a kitchen background. 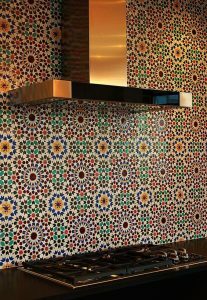 Moroccan tile is composed of several carefully cut geometric tiles set into a plaster base but fits together perfectly. 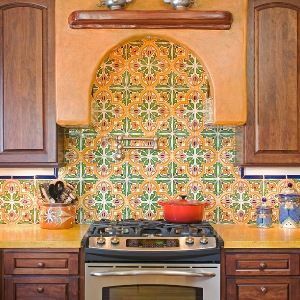 Right now the most popular Moroccan tile pattern appearing in several kitchens is called the “Moroccan trellis,” which appears like a curved lantern. 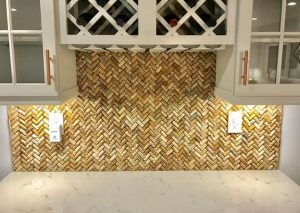 This creative backsplash has been popular recently, often as a DIY project, taking split wine corks and applying them to plyboard. 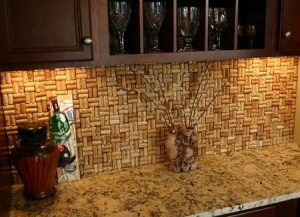 This creates a unique texture, yet a familiar pattern, inspired by wine but the color of the cork creates a natural looking background. Check out more kitchen ideas here on My Ideal Home!